Red Deporte has successfully carried out the training of monitors to work with the Football3 methodology in the town of Torrelodones. Fooball3 is a youth development tool that uses football to promote dialogue, reflection skills and leadership. The course, practical theory, has served to train in the work of mediator within football3. It has been three days long, carried out in the month of June. A total of 12 young people from several municipalities of Madrid and two participants from Cañada Real have come to the place where the course was held. 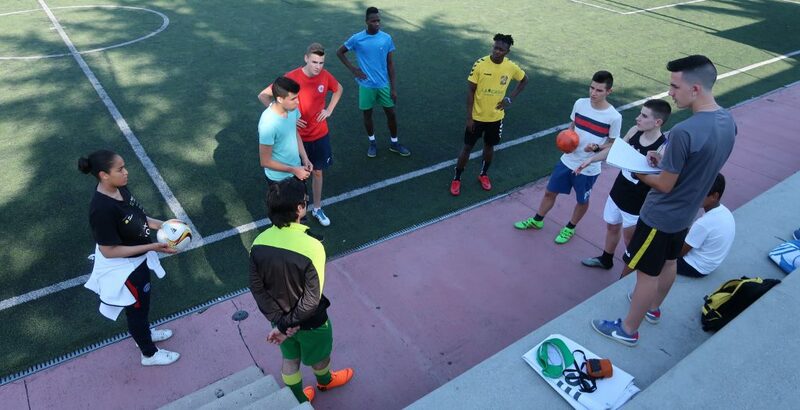 This training is part of the Red Deporte program, the development of football3 in Spain. This initiative is supported by the European Union and led by the streetfootballworld organization worldwide. Throughout 2018 we will publish a manual for the training of monitors in the football3 methodology that allows us to expand the numbers of people trained in this modality.